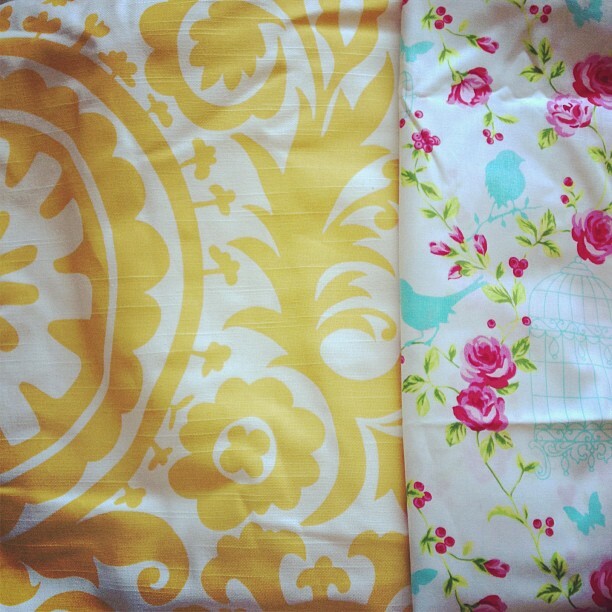 Fabric to recover pillows on downstairs couch + fabric for my studio curtains. One day I’ll get to it. Sometimes the best part of having a yard sale isn’t the money you make from selling your junk, but the sense of relief you get from donating an entire small SUV full of stuff. Sometimes we get to see my mom when she can sneak away from her two jobs in LA. Like tonight! Even if it’s just to have dinner with the family and go back to work in the morning. Sometimes I try to hide cookies from Blaine in a soup tureen (that makes a cute cookie jar) on the counter. Sometimes (always) he finds them. Sometimes my poor husband accidentally gets bit by one of our dogs while trying to break up a fight between them. Sometimes I go over a week without updating my blog and then I remember that it’s my blog and no one is going to get mad at me. Sometimes I forget about my online classes. Mostly always. Like I literally just remembered I have homework due in 54 minutes. Dang it. Sometimes time just sneaks right by you and it’s just about October. Happy almost October! I’m so excited for fall weather it’s ridiculous.